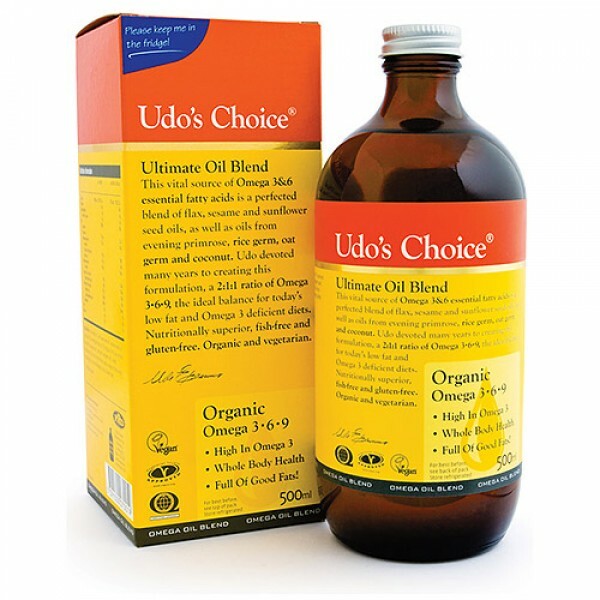 Udo`s Choice Ultimate Oil Blend is a certified organic blend of unrefined seed oils. When included in your daily diet it provides the all-important Omega 3 and 6 that are generally damaged or lacking in our regular diets. This ultimate blend of Omega 3, 6 and 9 provides the nutrition required for optimum health, naturally beautiful skin, lustrous hair and strong nails.